This 12x12 double sided paper has Images of all your Crafty Friends on the frontside. . . Why not color their hair? On the reverse side has Floral Clusters on a dark background.Part of the Crafty Girl by Simple Stories. 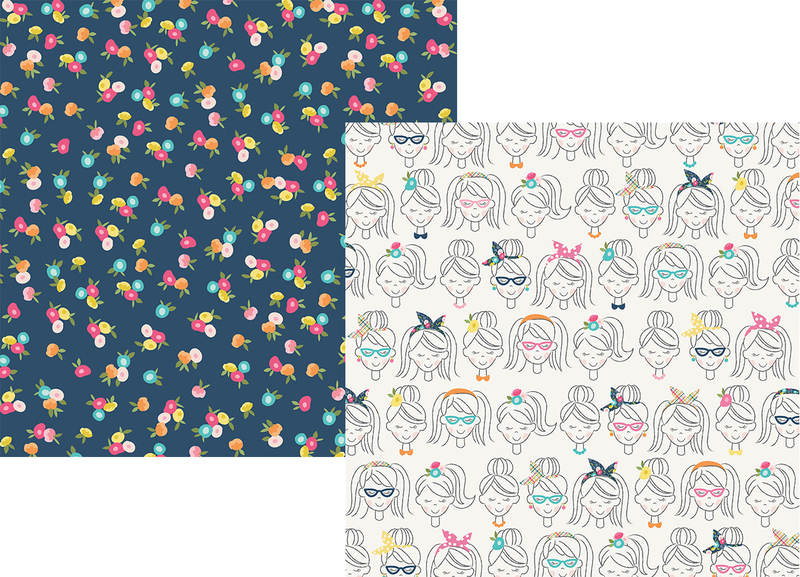 Look for coordinating ChipBoard, 4"x6" Stickers, Bits & Pieces, 12x12 Sticker Sheet, Washi Tape and Designer Papers.